With our vast experience and comprehensive knowledge, we have developed expertise in designing and developing high quality Pressure Die Casting Machines. Our focus and attention is on the manufacturing of reliable, hi-tech Pressure Die Casting Machines supported by an effective after sales services. We have successfully delivered and serviced large density of machines of different capacity across India. We have a team of qualified engineers who have been in the machine tool manufacturing line for more than 25 years. Strict Quality Assurance Policies are observed in all our Manufacturing and Assembly activities of the Company. Our products are ISO certified and CE marked for quality. We provide machinery with comprehensive package of technological support including product & industry consultancy, operation/maintenance training and after sales service to ensure that our machines give outstanding performance at all times. OUR PRIMARY OBJECTIVE IS TO HELP OUR CUSTOMER DERIVE MAXIMUM VALUE FROM THEIR DIE CASTING PROJECT. WE ARE OFFERING CONSULTANCY FOR NEW PROJECTS AS WELL AS EXISTING RUNNING PLANTS. 1. Cold chamber Pressure Die Casting Machines. 2. Low Pressure Die Casting Machines. 3. 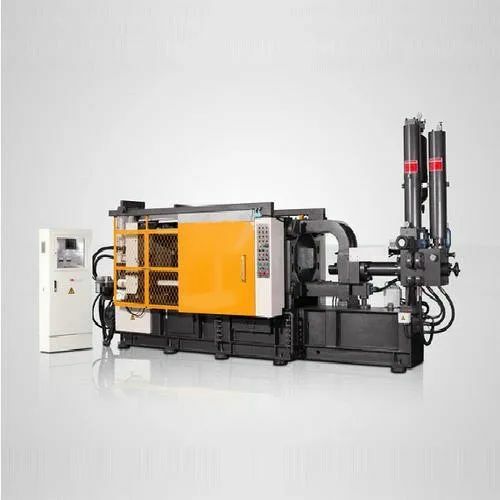 Gravity Die Casting Machines. S. S. Engineering Works established in the year 1996, We have made a name for ourselves as a dependable manufacturer Conveyor Belt, Die Casting Machine, Die Casting Moulds and other allied products, that offers critical solutions to auto and other industries. Our range comes in various capacities, designs and strengths. Dimensionally accurate and precision engineered, our product range is reputed for highest quality standard prevalent in the international field. In our genre of products, technology plays a significant part. The right technology brings in quality excellence that defines its performance and application. Our strength lies in identifying the most relevant technology for our manufacturing process. Once we have zeroed in on the correct methodology, we put it to best use to give our clients a very satisfactory machining experience. With the support of a dedicated and highly experienced team, we explore every opportunity to scale up our standards with regard to product performance and product innovation and development. A well-appointed infrastructure facility that boasts of a cutting edge manufacturing unit with the latest tools and machines, a high caliber quality evaluation and state of the art Research and Development highlights what a perfect alignment of man /machine can do to the success of a product range. To address the diverse and emerging market demand, we have installed an advanced warehouse facility equipped with sophisticated storage amenities.